Trump's tariff threat appeared to move him away from a previously threatened imminent closing of the border in order to punish Mexico. 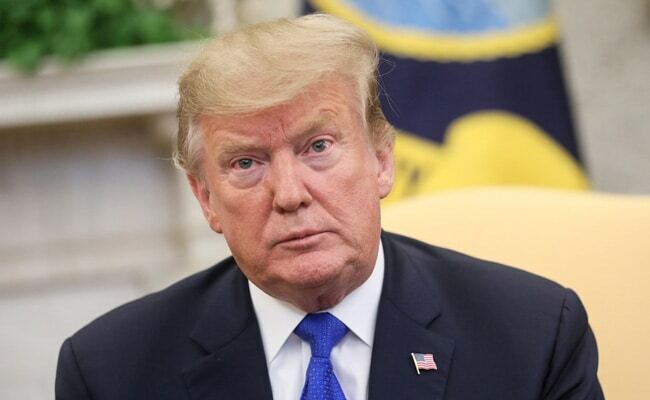 President Donald Trump on Thursday threatened to impose car import tariffs on Mexico if it doesn't do more to stop the flow of undocumented migrants and drug smuggling at the US border. "If Mexico doesn't give the help, that's OK, we're going to tariff their cars," Trump said at the White House. "I will do it. I don't play games." Trump did not give a deadline for when tariffs would be imposed in case of Mexico failing to satisfy his demands for stopping illegal immigrants. "If Mexico doesn't do what they can do very easily, apprehend these people coming in..., we're going to tax the cars and if that doesn't work we're going to close the borders," he said. But Trump said tariffs would also be imposed if Mexico does not do more to slow the flow of narcotics. On this he made a clear deadline of a year. "We're also going to do something having to do with tariffs on drugs because... hundreds of thousands of lives (are) ruined a year in our country," he said. "If the drugs don't stop we're going to put tariffs." "So we will put tariffs if they don't apprehend (migrants) and ultimately -- we're going to give a period of time, but if in a year from now if drugs continue to pour in, we're going to put tariffs on them," he said.